It's all about authenticity at this Streatham pizzeria. 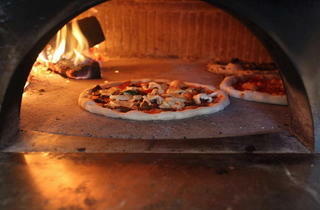 That means Neapolitan-style sourdough pizzas with traditional toppings, blasted in a red-hot wood-fired oven. There's delivery, too, should you want to eat in your pants, in front of the TV. And while pizzas such as the capricciosa (tomato, mozzarella, mushrooms, cooked ham, salami, olives and artichoke), the diavolo (tomato, spicy salami, mozzarella and fresh chilli) and the marinara (tomato, garlic, oregano and extra virgin olive oil) are the real draw, there's more to the food output here. There are olives, bruschetta, focaccia breads, salads, saltimbocca flat-bread sandwiches and various desserts - including tiramisu, Nutella sandwiches and pastiera - a traditional Neapolitan cheesecake here homemade. Great pizza with a classic Neapolitan sour dough base! Pretty cheap too. Best pizza in London, and I've tried most! Probably the very best of what's rapidly becoming London's Pizza mile! I've even flown home from Italy to tuck straight in to their finest food. Most delicious pizza in London! The staff are always so friendly, the food is delicious and the atmosphere is always great. My absolute favourite place to eat in London! tiny but perfectly formed slice of Italian authenticity on an unassuming side road. 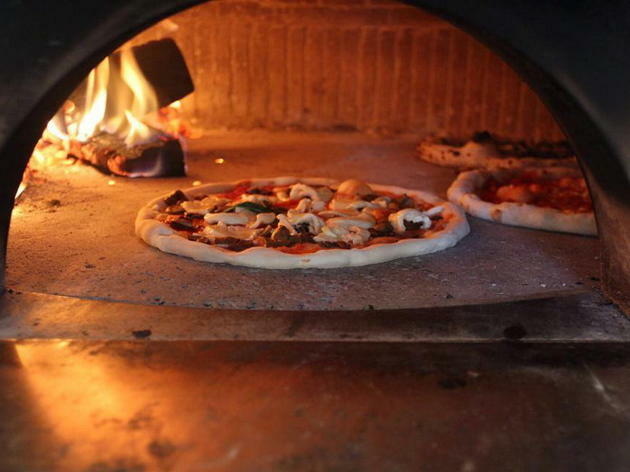 Friendly staff and excellent sourdough pizzas often see a queue snaking out of the door. Seriously amazing pizza (better than Franco Manca even!) and super fast service. Best pizza I've ever eaten, and I've been to Naples! Delicious real napletano pizza & friendly staff!!! The best restaurant in town. Amazing pizza. Best pizza ever. Great service. Best pizza's in town and the staff are ace too! Absolutely love this place, the food is amazing, very well priced, and the service is great. They always remember us, and are so friendly and always serve with a smile. I have introduced friends and family from outside of the area and they always come back with me for more. I love Bravi Ragazzi. I just wish it was closer to my house! It's tiny but we always seem to have got a table. It's family run & the staff are really friendly & attentive. We've eaten in & got take away, the choice & quality of food us consistently good! Totally delicious thin, traditional pizza. They've started doing white pizzas too - which I don't personally see the point of! We had 4 yesterday, diavola, Bravi Ragazzi ( their version of 4 seasons), boscaiola & my personal favourite the maradona. Came in at approx £55 so not the cheapest but in my view great value as I eat every scrap, rather than as I often do, discarding the crusts. So I'd suggest a special visit to Streatham but certainly no visit to Streatham should pass up the opportunity of a slice of Bravi Ragazzi! Without a doubt the best pizza south of the river! I went to this restaurant on a Sunday evening about 6.30 with a friend and 11 month old son. The atmosphere was amazing, we walked in and was attended to straight away. It was nice and compact and clean. The vibe was great, and all the staff were pleasant and accommodating. The food was 10/10 very fresh and moreish and also filling..so I left more than satisfied! With a chilled atmosphere and music for background i thoroughly enjoyed it and so did my son, who got extra attention. I would definitely recommend this place and can't wait to go back. And travelling from lewisham to streatham it was definitely worth it!! Best Neapolitan Pizza in London! No doubt! Awesome Pizza and quick. The whole family love it. Great new Italian beers just in. You will never get bored with this pizza! There is no better pizza! And served by the friendliest of staff. My favourite place. Best Pizzas ever. Fantastic service, friendly lovely guys who run this place - it's brilliant. Best pizza in Streatham and almost certainly in London too. Staff are great and super friendly. Always busy and mostly the customers are Italian - good sign! Best pizza south of the Thames! Definitely the best pizza in London!